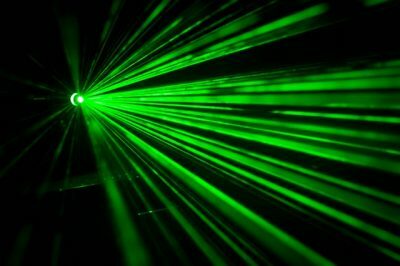 Lasers have been used to treat dental problems for more than 2 decades. The FDA has actually approved its use in dentistry, but the American Dental Association has not given its Seal of Acceptance for its use in Orem, Utah, and in the rest of the US. The seal is a way for the association to tell professional dentists and patients that a certain device can be safely and effectively used for dental treatments. The association however, is still optimistic, that one day, they will be able to approve its use for the field of dentistry. It is very important to understand that the lasers used for dental procedures are not like the ones used in phototherapy to deal with pain and inflammation. Cankers, Biopsy, and Lesions – lasers can be used to remove a small piece of tissue in the body so that it can be examined for cancer, this is also known as a biopsy. Lasers can also be used to get rid of canker sores, and lesions inside the oral cavity. Gum disease – lasers can be used to remove the damaged areas of the gums during a root canal, it can also be used to reshape the gums. Teeth Whitening – lasers can activate the peroxide bleach solution so that the in-office whitening treatment will be able to provide you with great results. Tooth decay – lasers can be used to remove specific areas in the tooth that has been decayed. It can also be used to prepare the tooth prior to filling. How do lasers work for dentistry treatments? Lasers can be used in many different ways for dentistry, it can deliver energy in the form of light, and it can act as a cutting instrument that removes tissue that comes into contact with it. Lasers can also be used to strengthen the filling used to treat tooth decay by strengthening the bond between the filling and the tooth. And as mentioned, in whitening treatments, lasers can be used as a heat source to enhance the effects of the whitening chemicals. What are the advantages and disadvantages of using laser in dentistry procedures? A dental drill is cheap, where as a laser equipment can cost several thousand dollars, this is why treatments that use lasers will also be expensive. Although using lasers can make treatments less painful, you should know that it cannot totally eliminate the need for anesthetics. Although lasers can be used for various procedures, it cannot be used to completely replace the dental drill. Lasers can only be used on teeth, not on fillings.